After reading the article below from our affiliate, Missouri News Horizon, I realized that our state is being ran by a bunch of children, fighting and crying worse than two five-year-olds. Although give credit to State Rep. Mike Leara for thinking way outside the box concocting the legislation he filed. A quick summary of the article is, State Rep. Leara actually filed a bill, which would make it a felony for lawmakers to merely file legislation that would at all restrict gun rights. Sure glade he is using his time wisely, continuing reading the complete story below. JEFFERSON CITY, Mo. — State Rep. Mike Leara filed legislation Monday that would make it a felony for lawmakers to merely file legislation that would at all restrict gun rights. The legislation — House Bill 633 — sparked uproar on social media Monday night. In a Leara, said the bill was only to spark debate about gun rights, and believes it has no chance in the general assembly. 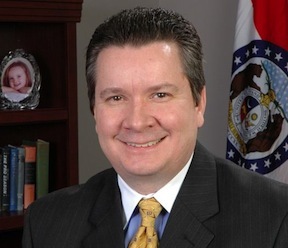 The legislation comes after State Rep. Rory Ellinger, D-St. Louis, introduced legislation that would require individuals who own semi-automatic rifles to move their guns out of the state or surrender them to law enforcement. It is unclear what chance any changes to gun laws actually have in the Missouri legislature. Gov. Jay Nixon said last week his office would continue to focus on expansion of mental health services, which he believes is the root of the gun violence problem.